Dr Marc's Blog: Serving Queen and Country? 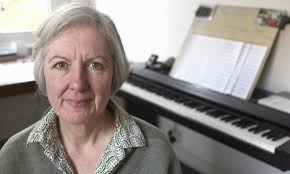 Congratulations to Judith Weir on being appointed Master of the Queen’s Music. The first female holder of the post and the first, I think I’m correct in saying, to have been appointed while her predecessor is still alive - two more fundamental changes to a post which itself changed beyond all recognition over the previous decades. It would be lovely to say that Judith Weir is the ideal choice for this post. But is she? And, frankly, what does the post entail that would allow anyone to define what “the ideal choice” would be? Perhaps the best way to show the real significance of this post during the reign of the current monarch is to ask how many people can tell you the name of Weir’s predecessor? What impact did Peter Maxwell Davies make while holding the role? We thought his predecessor, Malcolm Williamson, was a pretty inactive Master of the Queen’s Music; especially coming after Arthur Bliss whose fanfares and ceremonial marches defined the early part of Queen Elizabeth II’s reign. But who can list what Max has done in the role? 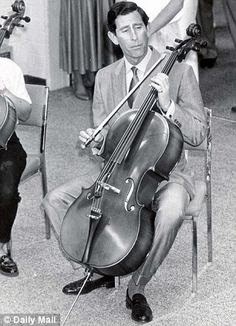 There was a royal wedding (William and Kate) – memorable pieces by John Rutter and Paul Maelor – and a fair crop of state visits, royal occasions, important national occasions, all of which passed by without any obvious contribution from the man honoured as being a major figure in British music. He did write a Christmas carol, which was privately performed to the Queen, and both Charles and Camilla and William and Kate asked for one of his (pre-Master of the Kings Music) compositions to be played during their respective weddings, but that is hardly in the same league as, say, Purcell’s Birthday Ode for Queen Mary or Elgar’s Nursery Suite. Will Judith Weir, who for many people is still best known for her Christmas carol, Illuminare, Jerusalem, do anything to bring music once again into the arena of major state events, or will she see it merely as a badge of honour in recognition of past achievements? The promise of a Musical Monarch? In her public life, at least, music is not something which Queen Elizabeth puts high up on her agenda of genuine interests; but her successor does have a reasonable musical pedigree and has shown an alert interest in music. Criticised as he is for his interventions in matters of environment and social inequality, I wish the Prince of Wales could intervene on the issue of music? He would be shot down in flames by those who choose to criticise any utterance from a member of the royal family, but at least he would have sparked a debate which might, just might, give some credence to a post which has become grotesquely devalued and seems largely redundant today.